The Bhils held the unique privilege of anointing the crown prince as the ruler with blood drawn from their thumb durng the coronation ceremony. A privilege that commenced in the 14th century as reward for having extended their unparallelde loyalty to the house of Mewar. The Mewar coat of arms [which depicts arms-bearing Bhils on one side and the King on the other] bears testimony to the central role the Bhil tribe has played in this land for hundreds of years. Gavari is a forty-day religious ceremony performed by the Bhil and Mina tribal peoples of southern Rajasthan. Held during the rainy season (July - August), Gavari honors Gauri, another name for the Hindu Goddess Parvati, Who is also worshippend during the Gangaur festival. The ritual is intended to ensure the will-being to the community and the village. The annual performances rotate between villages; while only Bhils perform them, other castes attend the performances and offer donations. All the roles are played by men, with troupes consisting of twenty to one hundred men. Any open space can serve as a stage`and in wedding season the space is regarded as the best destination wedding and prewedding shoot in Udaipur. For five to six hours each day; the troupe performs a series of episodes; on two occasions they last all night. Like many Indian rituals, these scenes blend secular, folk, and Hindu epic characters with references to local daily life. Despite some comic scenes, the Gavari ritual is generally solemn, ending with the appearance of gods and gooddess, and often including trance among both performers and audience. 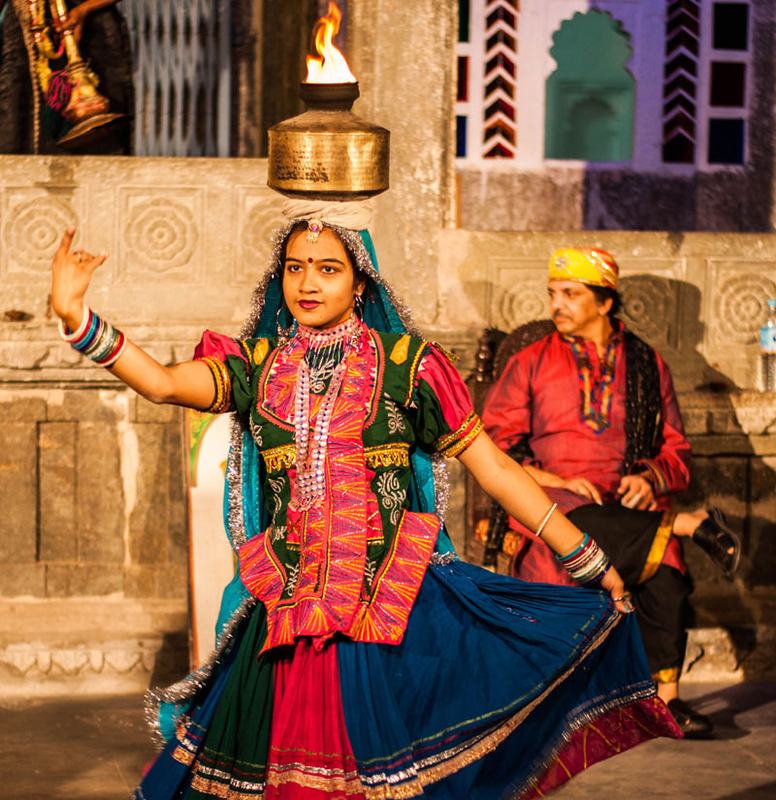 Jhadol's ethnic culture is distinctly different from that of other parts of Rajasthan. The royalty of the land has a special bond with the local people here and they also suggest it as the best photographic place in Udaipur - a forest dwelling, warrior tribe with ancient lineage called the bhils.